During the Tsarist era, the game of Lapta was designed to help soldiers stay in shape. 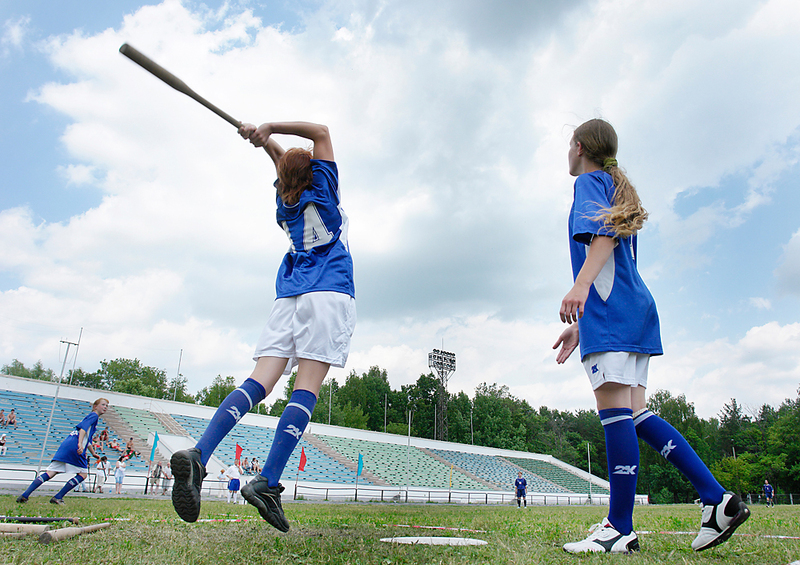 Today, Lapta, or Russian baseball, it is played by some people who wish to be different. Look up the word ‘lapta’ in a dictionary or encyclopedia and it will describe the game as a traditional Russian sport. However, chances of seeing this game played in Russia today are about as high as seeing a bear stroll down the street: practically zero. If, perchance, you are lucky enough to see a match, you are likely to better understand what is going on than most Russians. The reason is simple: Lapta resembles the highly popular (particularly in the United States) sport of baseball, which is little known in Russia. It would actually be far more accurate to say that baseball resembles lapta, since the American game became popular only in the 19th century, while lapta came into existence around 400 years ago. Bats and balls dating back to the 14th century have been found among the ruins of Novgorod the Great (335 miles northwest of Moscow). In the 18th century, lapta was an important activity to physically prepare soldiers of Peter the Great’s army. The game gradually became a major pastime. After the October Revolution of 1917 however, the first People's Commissar of Military Affairs (equivalent to minister) Nikolai Podvoisky excluded lapta from the preparation programme for Red Army soldiers. Today, lapta is not played in the Russian army. Two teams with a minimum of three players each are needed to play the game. A rubber ball (or tennis ball) and bats are used. A traditional lapta bat has a spade-like shape. Round ones are also used today, similar to baseball bats. The field is around 30 to 40 yards wide and 40 to 55 yards long. One part of the field is called the kon, the other the gorod. The serving team occupies the gorod while their opponents stand in the kon zone. A player from the serving team hits the ball with the bat as far out into the field as he can, after which he runs onto the other half of the field and then returns to the gorod. As he is running, his opponents try to catch the ball and throw it at him. If this happens, one of the players from the kon goes to the gorod. If not, then they must retrieve the ball. The runner tries to return "home" before the ball is returned to the gorod. Otherwise he has to return behind the kon line and run again, now with a serve for his team-mate. The game is won when all the members of one team have hit the ball and returned to the gorod. Lapta has lost its popularity in Russia today. Children know it only from books and films. Seeing a live lapta match is a real challenge. However, if you do have the desire to watch and play, we recommend that you visit Pushkino (20 miles northeast of Moscow), where local lapta fans having been organizing outdoor games in the summer for several years now. Prokopovich decided to try the sport when she saw friends playing it a couple of years ago. “It's nice to think that you are playing a rare game and not something like soccer or basketball," she said.